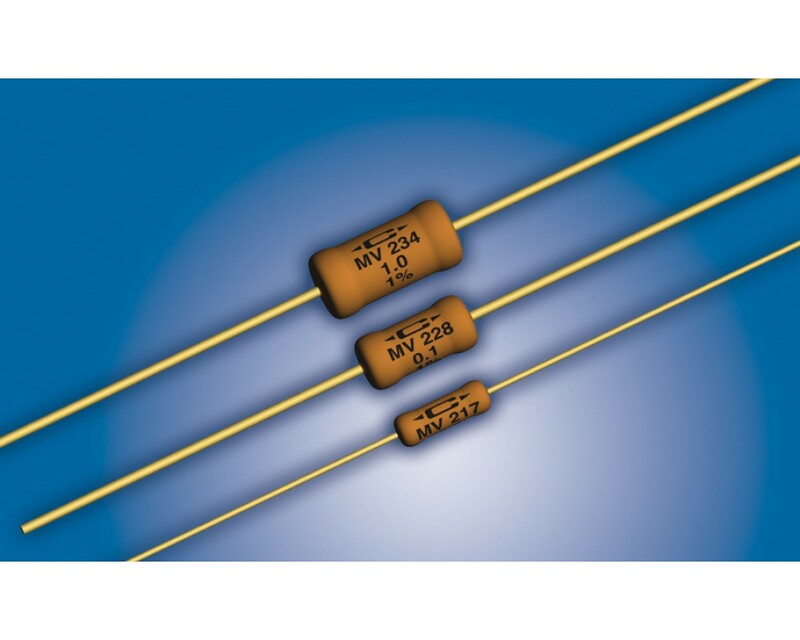 The MV series from Caddock are low resistance power film resistors with a resistance range from 0.1Ω to 50Ω and a maximum operating temperature of +275°C. 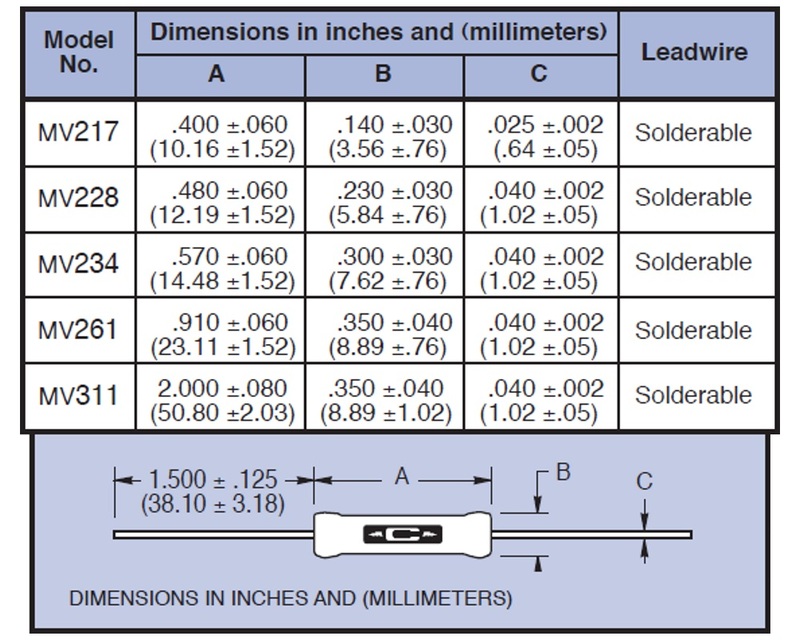 These resistors have a maximum power rating of up to 10W (MV311 model) and tolerance of ±1.0% (±5.0% and ±10% are also available). 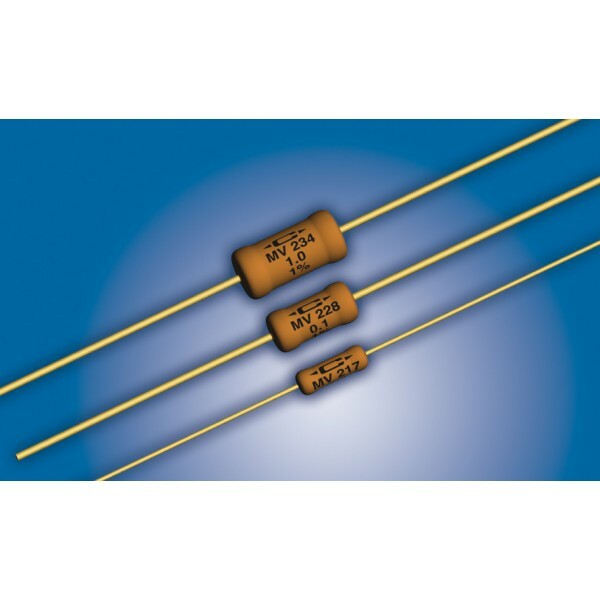 Caddock MV low resistance power film resistors combine Caddock's exclusive non-inductive design with many high performance capabilities of Micronox® resistance films to achieve these special advantages. 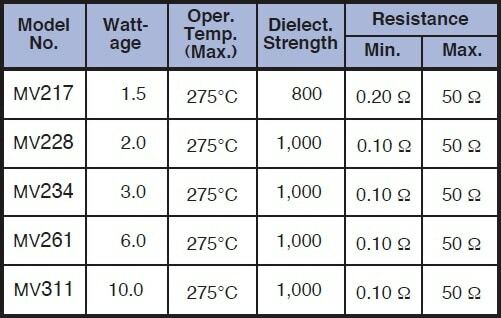 These resistance films have demonstrated outstanding stability when exposed to a high ambient temperature, thermal shock and high power densities.